Fifty-four achievement cards for primer level piano students. 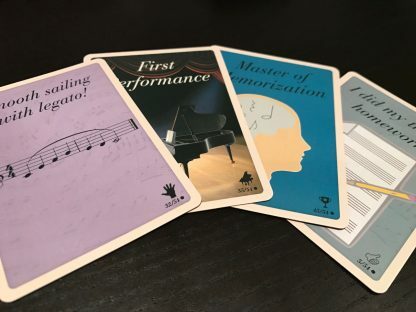 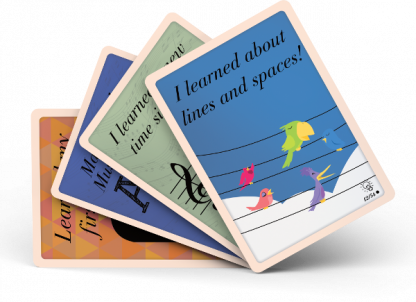 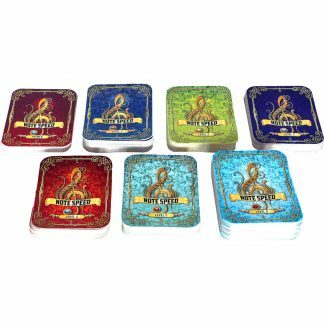 These collectible cards will excite and motivate your piano students. 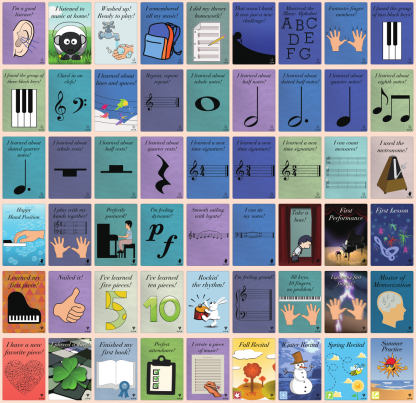 Give one to a student when they complete a task or accomplish a goal in their musical journey! 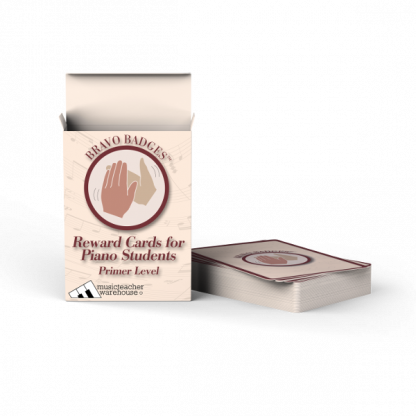 Each level has fifty-four achievement cards and is enough for one student for a whole year. Bravo Badges are designed to be eye-catching. Your students will love showing off their collection. These high quality cards are printed on 280gsm blue core playing cards. 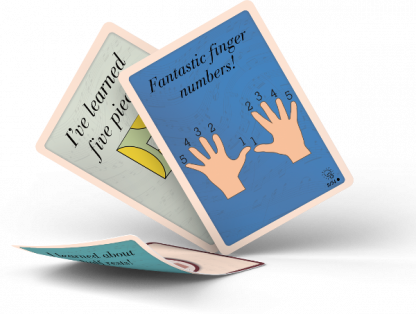 Say good-bye to flimsy, say hello to durable. 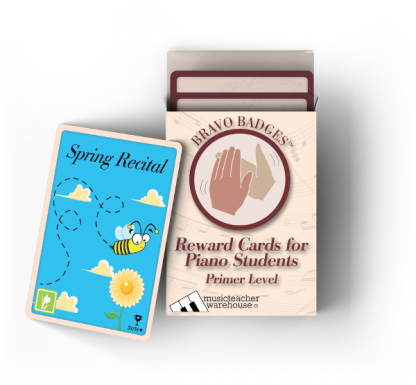 Keep track of cards you’ve awarded students with our primer level scorecard.